If you’ve been hanging with me for any length of time, you know I’m pretty wild about making Gifts in a Jar, now a free downloadable ebook. I’m talking about glass canning jars with screw top lids. Seriously, you can stuff just about anything in one of these amazing containers and come up with a unique, lovely gift. 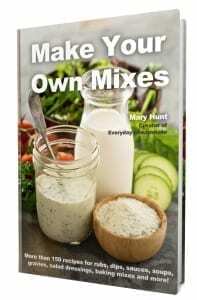 Over the years we’ve made Cookies in a Jar, Light in a Jar, Garden in a Jar, even a Journal in a Jar (instructions for all in the ebook). I have no idea why I’ve never embraced what is quite possibly the most practical use of a jar—Salad in a Jar. I didn’t think of this, but I’m pretty much in love with the person who did. Simply brilliant and so practical. 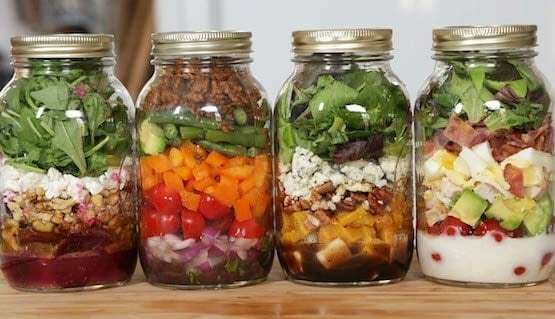 Basically, you assemble the ingredients for a fresh, healthy salad by layering them in a wide-mouth glass canning jar. If you do it right, you can make up a bunch of jar salads on Sunday, put them in the refrigerator and having your lunches made up for the entire week. 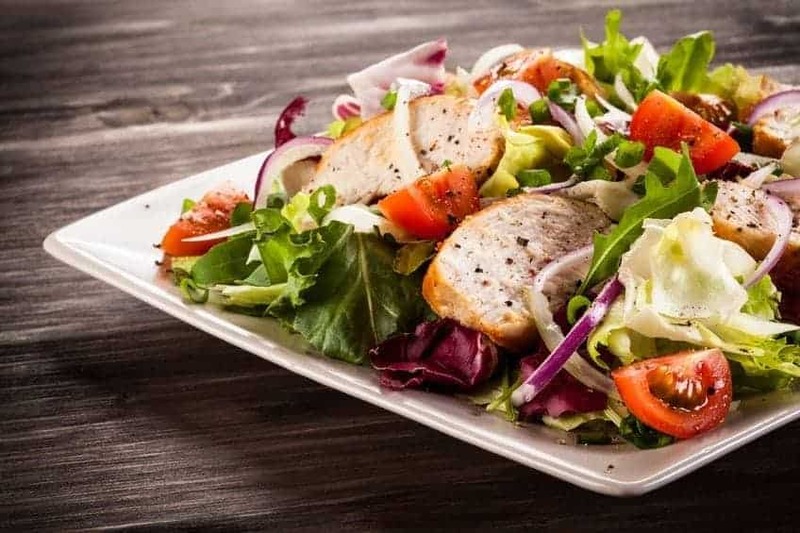 Prepared well, a jar salad kept in the refrigerator will be as fresh up to a week later as it was the day you assemble it. And no vacuum-sealing necessary.